The Filipino Channel (TFC), the network in the service of Filipinos worldwide, and Overseas Workers’ Welfare Administration (OWWWA), the agency tasked to oversee the welfare of migrant workers, renewed their commitment to serve the Overseas Filipinos (OFs) in formal ceremonies Monday at the Restaurant 9501 at the Eugenio Lopez Communications Center (ELJCC), EL Drive, Diliman, Quezon City, Philippines. TFC and OWWA, partners for the latter’s Pre-Departure Orientation Program (PDOP) and information dissemination efforts since 2013, entered into a memorandum of agreement (MOA) anew, taking a more 360 degree approach to service for OFs – from pre-departure to return. Part of this approach is to explore other communication tools to reach out to the overseas Filipino audience. Committed to serve Filipinos in every part of the world, TFC and OWWA launched “Abot Kamay,” a music video that assures Filipinos who have chosen the path of overseas work that OWWA is within reach wherever they are in the world. Currently, OWWA has 31 posts (Philippine Overseas Labor Organization or POLO) in 25 countries. To be able to enjoy the benefits of these programs, especially its education, repatriation and reintegration programs, OFs are encouraged to join as members. As members, the OFs can enjoy information and counselling programs pre-departure; outreach and assistance programs in-region, and livelihood and financial programs upon their return. 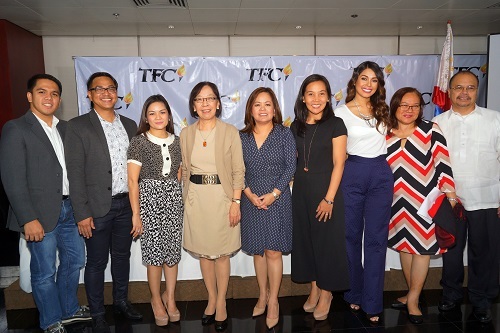 ABS-CBN Global Ltd. Asia Pacific Branch Managing Director Ailene Averion affirms that like OWWA, TFC’s service is rooted in its goals to keep OFs’ connection with the homeland and provide the company of a Kapamilya wherever he may be. In keeping true its vision and mission, TFC has been relentlessly taking this service a notch higher despite the barriers. Going beyond the two agencies’ information dissemination efforts in 2013, the partnership now explores more communication tools, specifically the music video ‘Abot Kamay.’ Written and composed by Vehnee Saturno and performed by one of “Your Face Sounds Familiar” top five performers KZ Tandingan, the song tells the OFs that wherever their journey brings them, OWWA provides them the avenues to enrich their lives and those of their families through its counselling, information dissemination efforts, legal assistance and outreach programs and most of all, hope for a better tomorrow with their families in the homeland. For Saturno, the fact that he had relatives who are OFs themselves helped him in creating the music but he also had to do his own research. “The heart of OFs is not one that is easy to let go. Everything is easier now because of the internet. But this song focuses on how family is within reach beyond the obvious means. There should be real communication despite the distance. It should be rooted very deeply and love is the foundation,” the award-winning composer shared. The music video was produced by ABS-CBN Global Ltd.’s Marketing Communications team headed by Jay Santiago, Audie Avecilla-Riola andCharles Bautista. 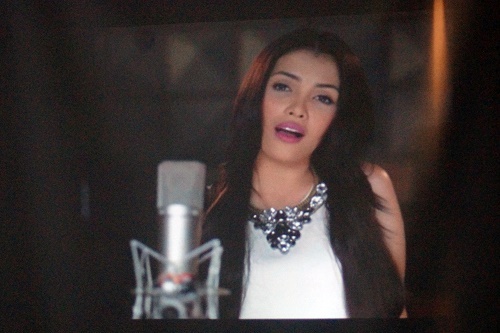 The music video was produced by Maureen Paril with assistance from Paz - Amor Valera and coordination by Rowena Lucero. Since 2013, TFC has been supporting OWWA beyond its PDOS program and seminars. Aside from the counselling program, TFC has been sharing information on OWWA’s programs and events through its exclusive programs “Balitang Global,” and “TFC Connect” and via its community billboard “Global Post (What’s Up in the Middle East)”. Just this December, TFC supported OWWA’s Model OFW Family of the Year at the Philippine International Convention Center (PICC). Also this December, TFC will once again support OWWA as it mounts itsFamily Day in Legazpi City, Albay. With a common track, a passion to serve OFWs and the countless opportunities that are available, service can truly take many forms for both TFC and OWWA.